We all know what’s happening to the single family home markets. Over supply and shadow inventory and the subsequent price declines will continue until fear is overcome and inventory is soaked up. The kinds of issues that led to a boom bust in housing did not take place with multifamily. There was no build out leading to over supply and the lender market was much more rationalized. Little of the kind of lending that led to so many foreclosures, ultimately driving home prices down. Lack Of Lender Interest In Funding Any Real EstateAdding to a under supply is a real lack of lender interest in more housing of any kind. Although this appears to be a negative, it protected the sector from the boom mania and has kept the multifamily market on a sound footing. ForeclosureRealty Trac reports annual foreclosure filings spiked from 1 million in 2006 to 3.9 million in 2009, and were about the same number in 2010. Finally, the huge foreclosure debacle is making renters out of all of us. DemographicsThe combination of immigration, retirees moving back in and a new generation up will equal the size of the boomers, creating a large pool of new renters. Now that’s huge! 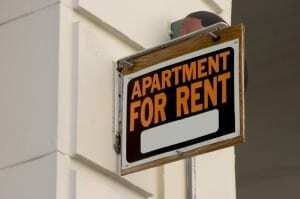 A Solid MarketThe national vacancy rate for rentals fell 17% last year to 6.6%, according to Reis. And rents jumped. In New York, up 9% on average in the last five years; in San Jose, they’re up 8%; San Francisco, one of the best rental markets in the country, has seen its vacancy rates drop as rentals in all neighborhoods post new highs.